Appearance, installation and use of the device is the same as a standard steel door lock. 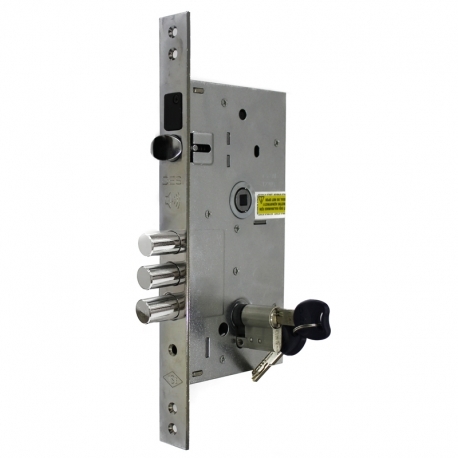 The use of the appliance is the same as a standard barelled lock. 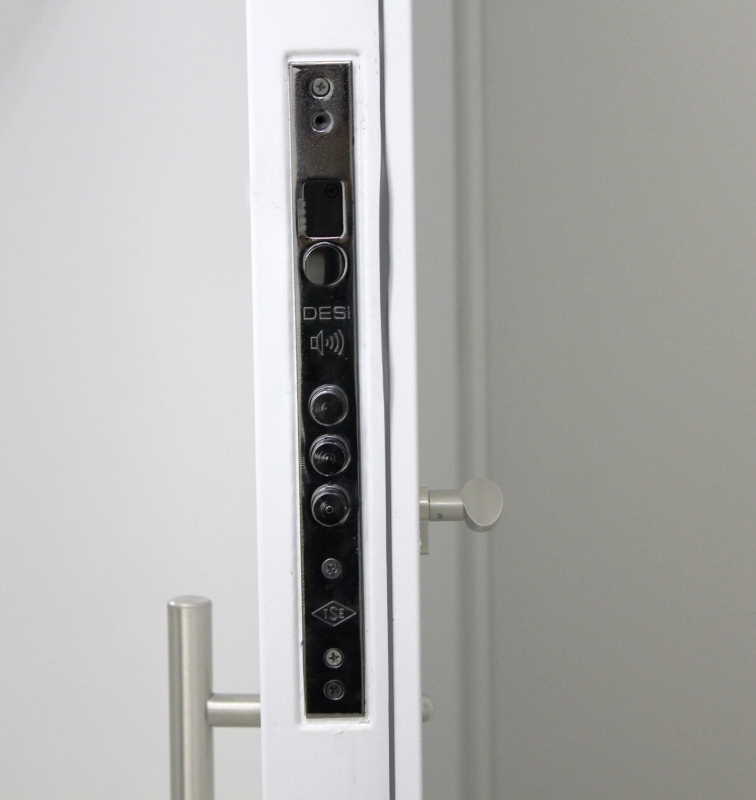 Locking and unlocking is performed from the inside with the key or the handle. 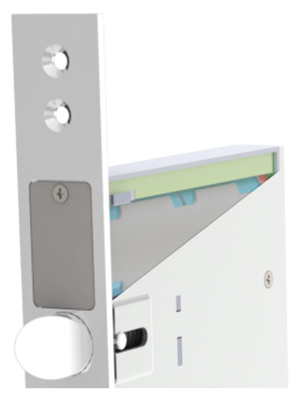 The dual-shielded alarm system integrated into the device is activated when the door is locked for 3 turns and starts the protection. 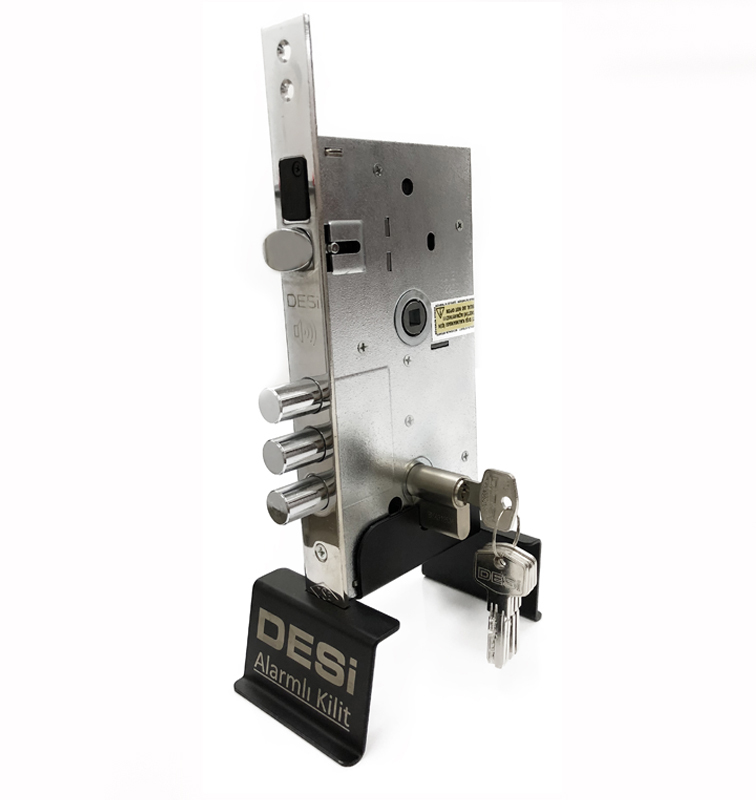 The sensitivity adjustable impact sensor detects vibrations that occur during interventions to the door / bar (cylinder) and activates the alarm siren without opening the door. In this way, before the door can be opened by the malicious person, possible damage to the door and lock will be prevented. After the alarm siren has been activated, if the lock is not opened with the key, it will play for 3 minutes and then the siren will be stopped. The impact detection level of the device can be adjusted easily by the end user in 3 different ways (sensitive, normal, rough) according to need. If malicious person tries to open the without applying an impact on the door or barrel (cylinder), the magnetically operated opening sensor triggers and triggers the device's siren. Thus, the malicious person is deterred from opening the door completely. After the alarm siren is activated, if the lock is not opened with the key, it will play for 3 minutes and then check whether the door is open. If the door is closed, the sound of the siren will be stoped. Powered by two AA-type standard batteries, this device has been designed and manufactured to operate for years without the need to bring electricity to the door via cable. In case of weakening of the batteries, the battery of this system gives a warning for battery so that it can be changed easily by the end user. Volume of warning tones and alarm of this system can be adjusted as "high" or "low" levels.